Atlanta is home to one of the busiest corporate environments in the United States. There is a ton of competition when it comes to talent and skills, and you need to stay on top of your work in order to thrive. There may be times where you occasionally feel a bit “stuck” in your current role and are in need of some internal motivation to boost your productivity at work. If you are experiencing this feeling in any way, then your best bet is to look into John Mattone’s Atlanta executive coaching and leadership training programs. 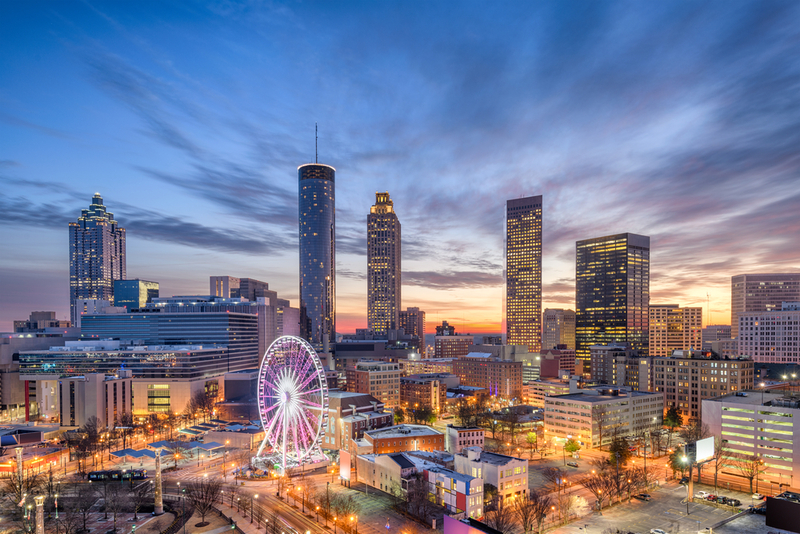 John Mattone’s Atlanta executive coaching and leadership coaching programs can prove to be extremely fruitful for professionals at any level in their careers. You will have the ability to work with a top leadership coach who will assess your current professional strengths and weaknesses, and create a tailored plan to help you grow in all areas of leadership. Effective communication should be a top priority for any executive. Learning how to clearly communicate so that there is no confusion is part of what your professional coach will be able to teach you. No matter how organized or successful company a company is, there will be a time when a fire needs to be extinguished before too much damage occurs. The ability to calm tensions and solve problems in a respectful and professional manner is extremely important for any executive, CEO, or entrepreneur. John Mattone’s Atlanta executive coaching program will show you to solve problems more effectively. John Mattone has helped executives, CEOS, and business Clients who have worked with John in the past have raved of his passion and dedication during his leadership speeches. Many recipients of his executive coaching programs have claimed how game-changing the programs were in helping them to become better leaders. John’s signature Atlanta executive coaching program is designed for those in managerial positions that are looking to better leadership skills and abilities. In this program, John will first conduct an in-depth interview using his proprietary assessments to determine your current strengths and weaknesses in the workplace. Then, he will come up with a personalized plan to help you grow in any areas where there is room for improvement. The C-Level Executive Coaching in Atlanta is the most thorough leadership program that John offers and is also the most limited. Here, John will first conduct an in-depth interview which will determine your current strengths and weaknesses. Then, he will shadow the executive throughout their workday. After that, John will create a customized plan that will help you grow in all areas of leadership, and will result in more efficiency and productivity for the executive and for the company as a whole. The High-Potential Accelerated Executive Coaching program is similar to the regular executive coaching program but is designed for professionals that do not have the time or resources to commit to a typical, full-length coaching program. The Monthly Mentoring program consists of one-hour, one-on-one training sessions with John, where he focuses on one area that needs improvement. For example, he may spend one hour working on your presentation skills so that you are able to better present ideas to your team and company. The Monthly Coaching Journey with John Mattone is meant for executives that want to learn as much as possible to move them in the right direction to become a better leader. In this program, John picks a group of individuals to participate and shares all that he has learned from teaching some of the highest-level executives in the world. The CEO Aspire Mastermind Family option is the perfect opportunity for individuals that want to become an owner, CEO or high-level executive one day in the near future but are unsure of how to get started on this path. In the program, John will help you gain the passion and motivation you need to reach your career goals. The Aspire Mastermind Family option is where John picks about 30 superstars who are ready to further their professional lives because they know they are destined for more. In this program, John will help you get on a positive path to better both your personal and professional life. John Mattone offers Atlanta executive coaching services for any professional looking for professional and personal growth. Contact John today for more information on leadership coaching in Atlanta.